MetricStream is a market leader in Enterprise-wide Governance, Risk, Compliance (GRC) and Quality Management Solutions for global corporations. This leadership has been accepted by the independent research firm Gartner as well. MetricStream solutions are used by leading corporations in diverse industries such as Financial Services, Healthcare, Life Sciences, Energy and Utilities, Food, Retail, CPG, Government, Hi-tech and Manufacturing to manage their risk management programs, quality processes, regulatory and industry-mandated compliance and corporate governance initiatives, as well as several million compliance professionals worldwide via the www.ComplianceOnline.com portal. MetricStream is headquartered in Palo Alto, California and can be reached at www.metricstream.com. ProcessPark is the partner based in Turkey since the mid of year 2013.
Business processes are exciting. However, they are invisible at first. Only the outcomes of the process, e.g. a product or a service, become tangible. Process models visualize which steps have to be taken in order to come to the desired outcome. The knowledge about processes is spread over the many people involved. This makes process modeling become a challenge: The knowledge of all participants must be captured in order to get an overview. For testing Signavio solutions click here. 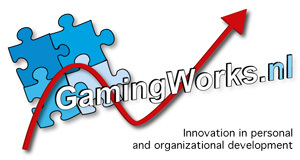 GamingWorks designs, develops and deploys professional business simulations or serious games aimed at solving the issues and supporting organizational learning and development. The 'learning-by-doing' solutions are used by a world-wide network of professionals. ProcessPark uses the simulation games of Gamingworks at the training and consultancy projects. ProcessPark is a business partner of Gamingworks since 2010. PEOPLECERT is a global organization with wide experience in the certification industry, offering a comprehensive portfolio of internationally recognized certifications, including ITIL, IASSC Lean Six Sigma, ECDL/ICDL, City & Guilds, and a wide range of Professional Certifications in Management Systems, including ISO 20000 and ISO 27000, that evaluate competence and are key to today’s performance-driven environment. ProcessPark is accredited by Peoplecert on ITIL ® training. The process of accreditation covers education organization, processes, related training documentation as well as the exams. For more information about Peoplecert, visit its website at www.peoplecert.org . Professional Evaluation and Certiﬁcation Board (PECB) is a certiﬁcation body for persons for various international standards, including ISO 9001, ISO 14001, ISO/IEC 20000, ISO 22301, ISO/IEC 27001, ISO/IEC 27005, OHSAS 18001. ISO 22000, ISO 26000 and ISO 28000.